We have begun the final countdown to the 2016 Lowcountry Pie Getaway in Charleston, South Carolina this coming weekend. We’re at capacity – thirteen of you will be arriving from all across the country – though our event is, by many measures, a modest one. You’d never know it, however, if you happened by The Pie Academy today: it looks like the staging area for a baking battalion armed to invade a small nation. A baker’s dozen of rolling pins stand in formation. Countless bowls are stacked and at the ready. There are bins full of pie pans, rulers, pastry wheels, baking sheets and measuring cups. I can no longer find the regulars in our fridges because they’re stuffed with rations we need for the Getaway. And then there’s the lists. We have grocery lists, three separate ones. Lists of tools to bring, lists of recipes to print, a detailed timetable for the getaway, and a list of attendees who have food allergies or dietary restrictions. It’s gotten to the point where even our lists have lists. Somewhere in the middle of this barely contained chaos is a sweet potato pie I was inspired to make this week. I’m lukewarm about sweet potatoes in general, but not about sweet potato pie, which I consider to be at least the equal of pumpkin. 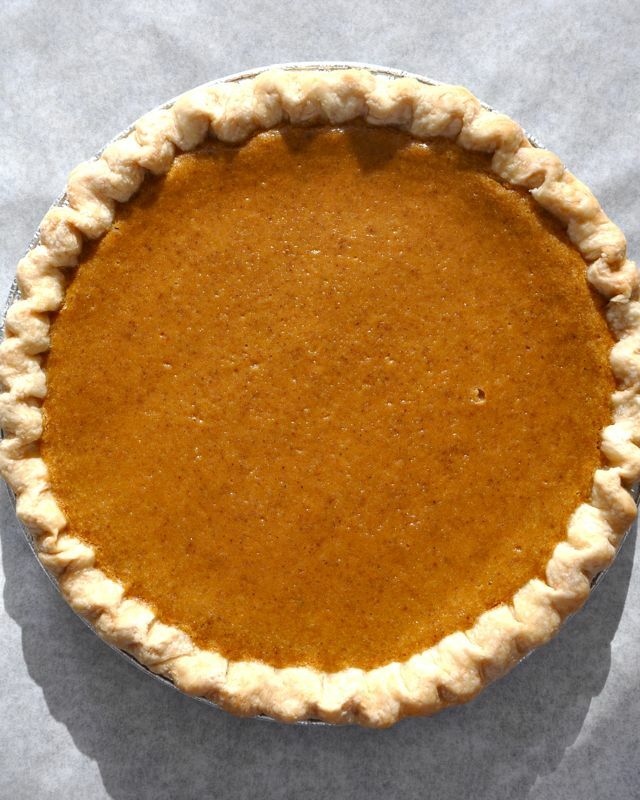 Sweet potatoes and pumpkin can be, and often are, used interchangeably in cooking, but I think sweet potatoes have sweeter, more flavorful and denser flesh that favors pie. The color seems richer and more vibrant, too. And no one would argue with the fact that it’s a lot easier to pop a couple of sweet potatoes in the oven than it is to wrestle with a big pumpkin. You might be interested to know that my adoptive North Carolina ranks first in the production of sweet potatoes. We grow more than 60,000 acres of them, or about half of the total U.S. production. North Carolinians are rightly proud of their roots. 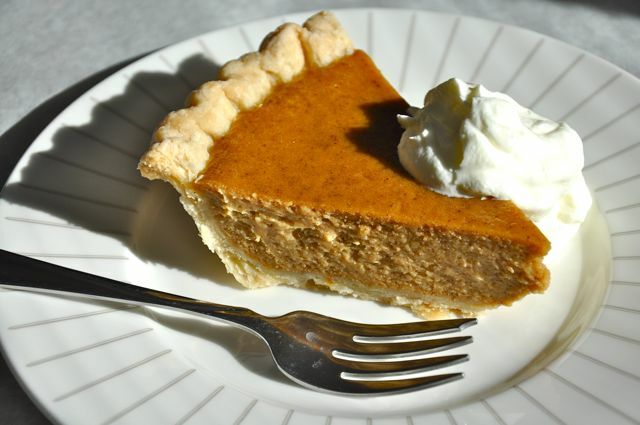 Like many of our culinary traditions, sweet potato pie came to this country via the well-to-do kitchens of Europe. Historians tell us that Henry VIII was a huge fan of the sweet potato tart, the pie’s first cousin. 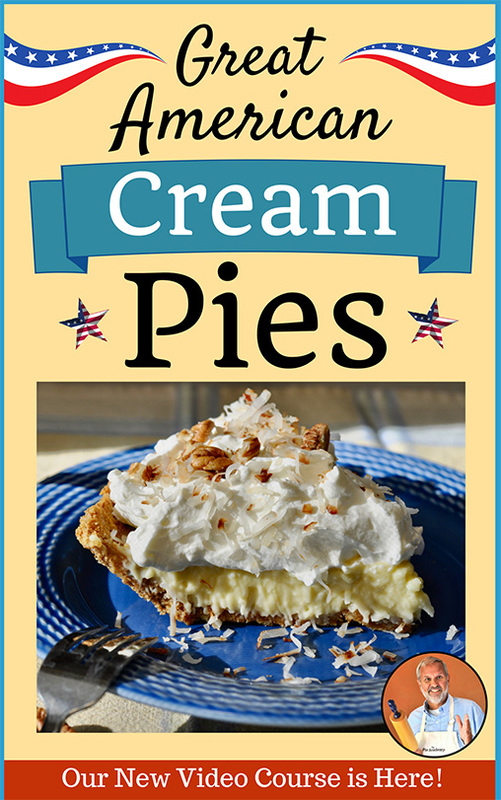 A couple of centuries later, the pie began to appear in several celebrated English cookbooks of the day. 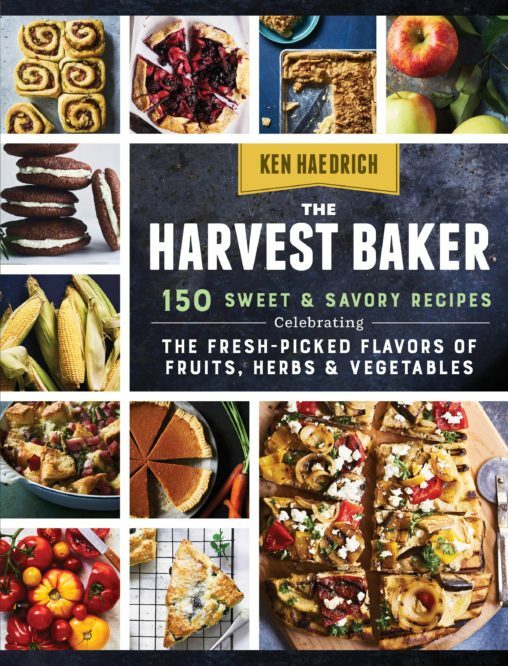 Not long thereafter, sweet potato pie recipes found their way to plantations in the Antebellum south. According to an article in The Washington Post, Southern cooks – black and white – turned to the sweet potato in the kitchen because it was much easier to grow in the south than pumpkins. 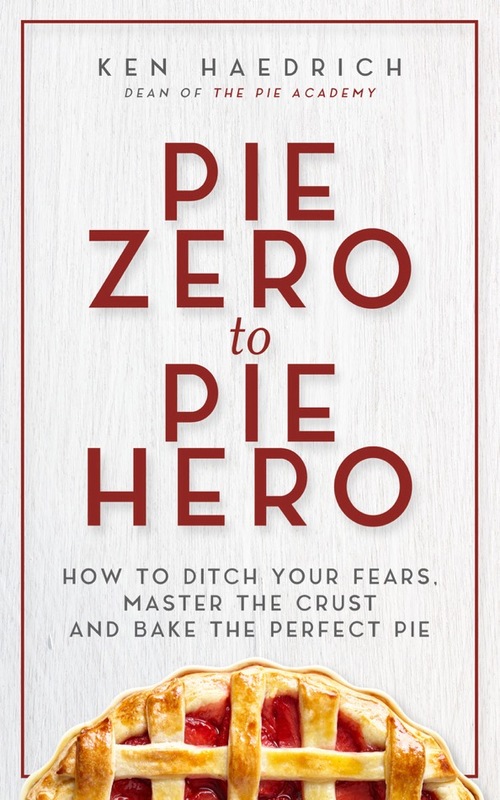 So if you’ve not given the sweet potato pie its due, maybe it’s time. The following recipe is tad richer than some, but it does an excellent job of showcasing the sweet potato’s pie potential. It’s creamy, smooth, spicy, all around delicious – and prefect for autumn eating. And, of course, for Thanksgiving. I hope you’ll give it a try. Thanks again to all of you who responded so kindly after my previous post – about my heart attack – appeared here. I’ve never experienced such an outpouring of good wishes. Many of you had indeed wondered why I’d been out of touch with you for so long. 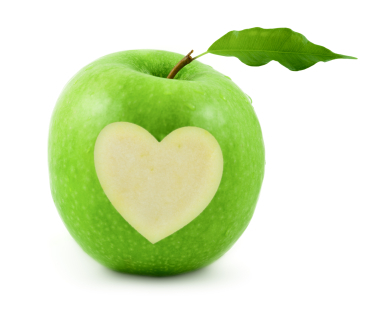 Quite a few of you shared your own stories of loved ones who’d experienced heart problems. Several of you mentioned your own heart issues. Needless to say, I was touched by all of your good wishes and I thank you from the bottom of my (on-the-mend) heart. This offer ends at the end of the month, so don’t wait to take advantage. We’ve just received new shipments of our popular pie boxes and Pie Academy rolling pins, an heirloom quality pin made from select Vermont hardwoods. Imagine the thrill of giving one of these pins to a pie-loving daughter, son, or grandchild when it’s time to pass the pie baton to the next generation. 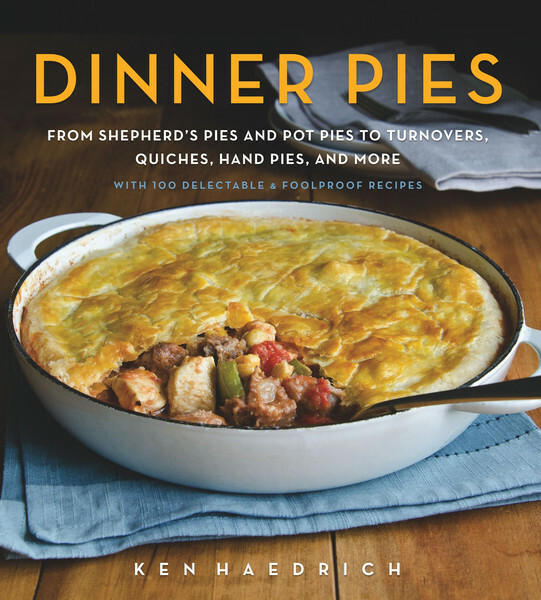 Of course, it IS pie season – a good time to fatten up your cookbook library with one or more of my three pie cookbooks, or any of my other books. I’m always happy to autograph them for you; just mention it on the order page. Thanks again for all your support. 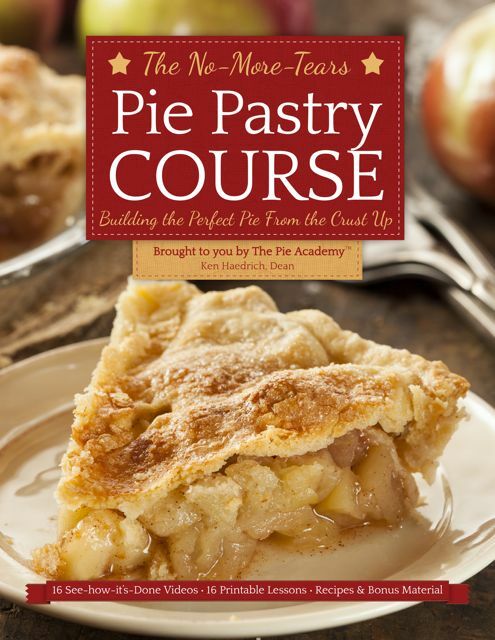 It’s an honor to have you at The Pie Academy. PIE PASTRY NOTE: You can use any favorite pie pastry for this pie, including our Good Basic Pie Dough, the Cornmeal Pie Dough at the end of the Taco Pot Pie recipe, or any other pastry listed in the Table of Contents. 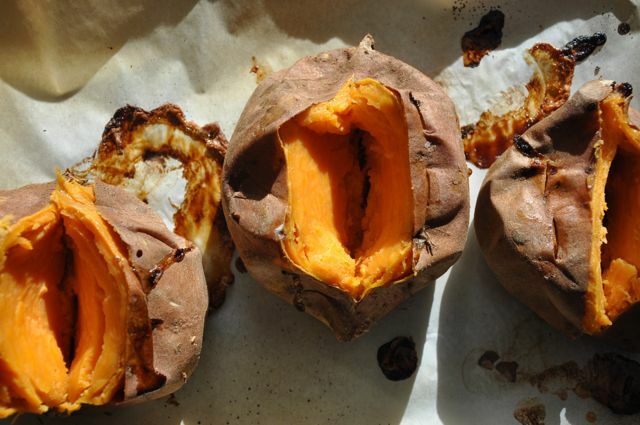 While the dough chills, bake the sweet potatoes. Preheat the oven to 400°. Scrub the potatoes and place them on a baking sheet, preferably one lined with parchment or foil. Pierce each one several times with a paring knife. Bake for 60 to 75 minutes, until they're tender, all the way through. Cut the potatoes open to help them cool. Set aside. When the potatoes are lukewarm or cool, scoop the flesh into a food processor and process to a smooth puree. Measure out 1 1/2 cups of puree and set aside. Save any remaining puree for another use. Set the oven to 375°F. Whisk the eggs and yolk in a large bowl just until frothy. Add the sweet potato puree, brown sugar, sugar, melted butter, cream, half-and-half, and vanilla. Using an electric mixer, beat on low speed until evenly blended. Mix the flour, cinnamon, nutmeg, cloves, and salt in a small bowl. Sprinkle over the filling and blend it in on low speed. Pour the filling into the pie shell. Bake for 20 minutes. Reduce the heat to 350°F and bake another 30 to 40 minutes more. When done, the pie will be wobbly, with no sign of liquid in the center; give it a little nudge to be sure. 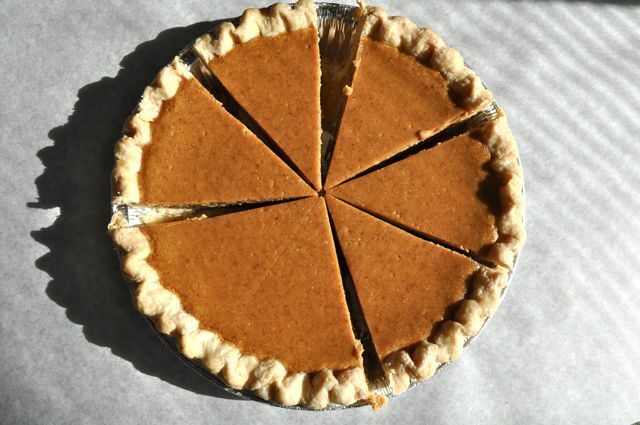 Also, pie will puff slightly, more around the sides than in the middle. Transfer to a rack and cool. I like to chill the pie before serving, others prefer it at room temperature. Refrigerate leftovers. Makes 8 to 10 servings.